ANURYZM’s humble beginnings sprang from Lebanon as a musical project between college friends in 2003; in just under a year, the band had already played a couple of local festivals & begun recording their first demo. However the process became challenging as founder/lead guitarist John Bakhos moved overseas, and it took another turn for the worst when rhythm guitarist Bernard passed away in 2005. This news brought the band to a standstill. Despite the challenges, John continued to write music and decided to relocate to Canada in 2007. He revived ANURYZM with an improved repertoire but despite establishing a band and performing extensively in and around Toronto, progress was very limited. This prompted his decision to move back to his childhood city Abu Dhabi in 2010. John immediately joined forces with his old high‐school band mate/vocalist Nadeem Michel Bibby and invited renowned drummer Martin Lopez, Rami Lakkis, and Uri Dijk to collaborate to finish ANURYZM’s debut album. The resulting official debut ‘Worm’s Eye View’ was released in the autumn of ‘11. With John and Nadeem handling the lead guitar duties and vocal duties respectively, the line‐up for subsequent live appearances consisted of Miltiadis Kyvernitis on rhythm guitars, Imad Dahleh on the drums, Jay Jahed on the synths, and Rami Lakkis on bass who was later replaced by Rany Battikh. ANURYZM performed extensively in and around the local & regional scenes to promote the record, sharing the stage with renowned artists such as Black Sabbath, Avenged Sevenfold, Yngwie Malmsteen, Scorpions, Nightwish, Epica, Dark Tranquillity, Orphaned Land, Myrath, and others. Having showcased their music to a wide variety of audiences, the band’s highlight performances included appearances at the Dubai Rock Fest, the Byblos International Festival in Lebanon, the Du Arena in Abu Dhabi, and the Persian Rock & Metal festival in Turkey. Fast forward to 2015, the final track listing for the new record titled ‘All Is Not For All’ features stellar guest performances by Michael Lepond, Uri Dijk, Charlie Zeleny, and Christopher Chaplin and is set to be released in early summer. 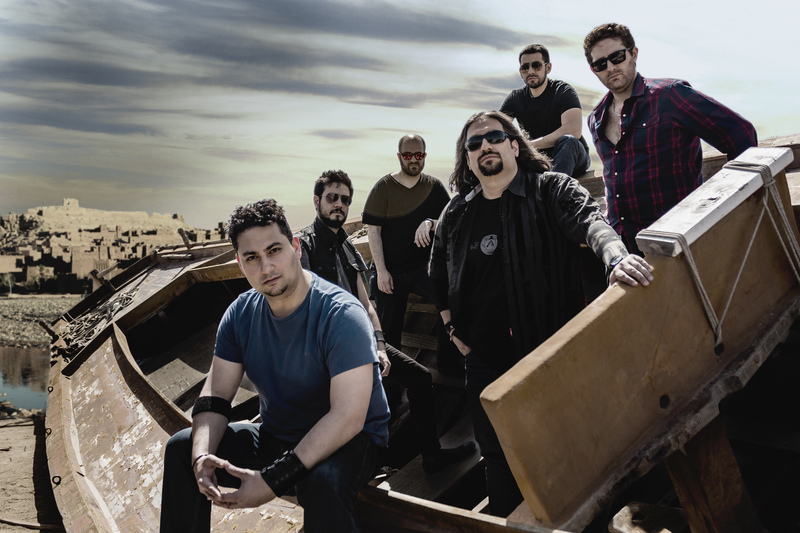 With an already strong track record as a viable progressive metal contender from the Middle East, ANURYZM is ready to hit the big stages in support of ‘All is Not For All’.